We are seeking a staff attorney to join our youth justice team. We are interested in candidates who are energetic, culturally competent and have a strong commitment to public interest and social justice advocacy to represent youth who are involved in the juvenile delinquency system. The attorney will provide civil legal services designed to meet the individualized needs of delinquency involved youth, with a particular focus on SSI cases for children with disabilities. Beyond SSI cases, the position may also include a smaller, mixed caseload in areas such as special education, health access, public benefits (e.g. foster care benefits, CalWORKs, and General Assistance), legal permanency, housing, and other work. Clients served by this project experience high rates of sexual exploitation, abuse and neglect, and mental health related issues which the attorney will be expected to navigate in providing legal assistance. 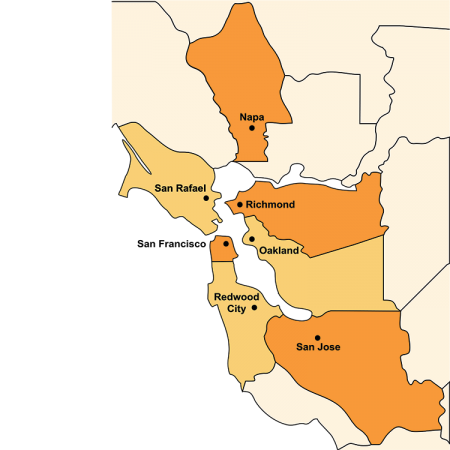 This position is based out of Alameda County but may include travel throughout the Bay Area. Responsibilities include client interviews, negotiations with governmental agencies/opposing parties, research and writing, and representation at administrative and court proceedings. The attorney is expected to engage in outreach with probation, social services, law enforcement, youth service providers, and other community organizations. • California State Bar membership; or admitted to practice in another state and eligible to practice in California for 3 years under the California State Bar rules for the Registered Legal Services Attorney Program (must pass CA bar at a later date). • Experience interviewing and working with youth is preferred. Compensation is based on a competitive public interest salary scale. Generous benefits package includes medical, dental, and life insurance; long term disability; paid holiday, vacation, and sick leave; law school loan repayment; bilingual stipends; and 401k retirement plan. Bay Area Legal Aid thrives on our diversity and we are proud to be an equal opportunity employer. We are committed to building a culturally diverse workplace and strongly encourage women, persons of color, LGBTQ individuals, veterans, persons with disabilities, and persons from other underrepresented groups to apply. Review of applications will begin immediately and continue on a rolling basis, but applicants are encouraged to apply as soon as possible. Please send a cover letter, resume, writing sample, diversity statement (see below) and list of references to: Human Resources Department, e-mail to jobs@baylegal.org. Be sure to refer to the “Youth Justice Attorney-AL” in the title of your email.